Commonly referred to as our “Show-In-A-Box,” the 12′ H x 21′ W ILLUMINATOR HD is the ideal screen choice if you are looking for a large screen presence with a smaller footprint. This unit is mounted o the box of a straight truck that can be positioned in any orientation. The screencast features a full 360 degree rotation. 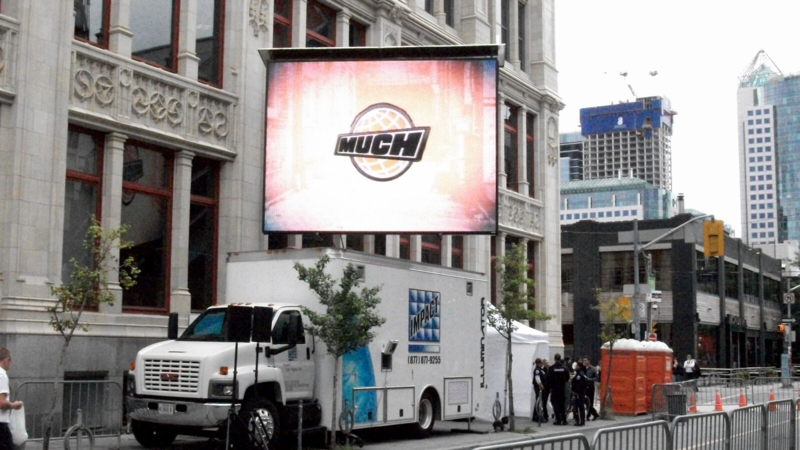 This unit is perfect for tours or when screens need to move at the beginning and/or end of an event day.